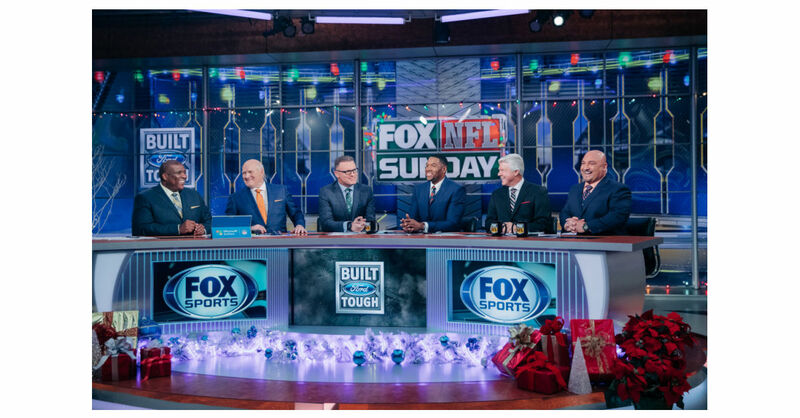 WASHINGTON–(BUSINESS WIRE)–Landmark football pre-game show FOX NFL SUNDAY will be inducted into the National Association of Broadcasters (NAB) Broadcasting Hall of Fame at the 2019 NAB Show. The induction will occur during the Achievement in Broadcasting Dinner on Monday, April 8 at the Encore in Las Vegas. FOX NFL SUNDAY has ranked as America’s most-watched NFL pre-game show for the past 25 seasons. Since its inception in 1994, the program has served as the signature studio show for FOX Sports and revolutionized the sports television industry. Additionally, the program includes an audio simulcast on FOX Sports Radio. In total, FOX NFL SUNDAY has received 16 Emmy Awards with its on-air personalities garnering an additional seven trophies. “Every week, millions of viewers across the country tune in to FOX NFL SUNDAY not just for the latest information about ‘America’s Game,’ but also for the analysis and antics of the show’s larger-than-life personalities. The show resonates with football diehards and casual fans alike and we look forward to enshrining it in our Hall of Fame,” said NAB President and CEO Gordon Smith. NAB Broadcasting Hall of Fame television inductees include “Wheel of Fortune,” “JEOPARDY,” María Elena Salinas, Chuck Lorre, Shonda Rhimes, “Everybody Loves Raymond,” “American Idol,” Betty White, Garry Marshall, “Meet The Press” and Bob Newhart, among others. NAB Show, held April 6 – 11, 2019, in Las Vegas, NV, USA, is the world's largest and most comprehensive convention encompassing the convergence of media, entertainment and technology. With nearly 100,000 attendees from 165 countries and 1,700+ exhibitors, NAB Show is the ultimate marketplace for solutions that transcend traditional broadcasting and fuel the digital storytelling economy. From creation to consumption, across multiple platforms and countless nationalities, NAB Show is where global visionaries convene to bring content to life in new and exciting ways. For complete details, visit www.nabshow.com.